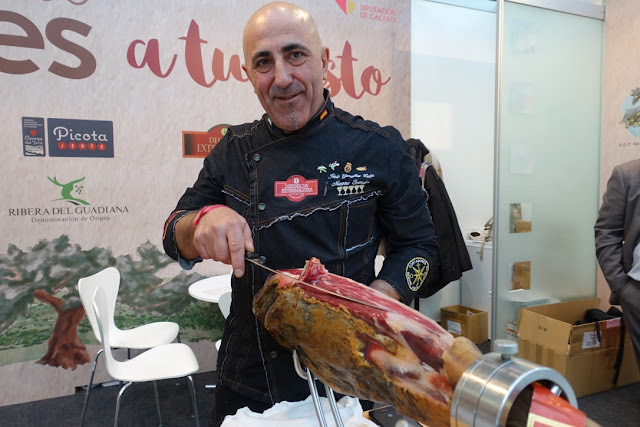 International culinary conference Madrid Fusion, one of the most prestigious in the world, was held last January 22-24 at the Municipal Palace of Congresses Madrid. The gastronomy summit, now on its 16th year, gathered together top chefs from Spain and the rest of the world to learn, to share their latest works and discoveries, exchange techniques, to inspire and be inspired, to collaborate, and to support one another. 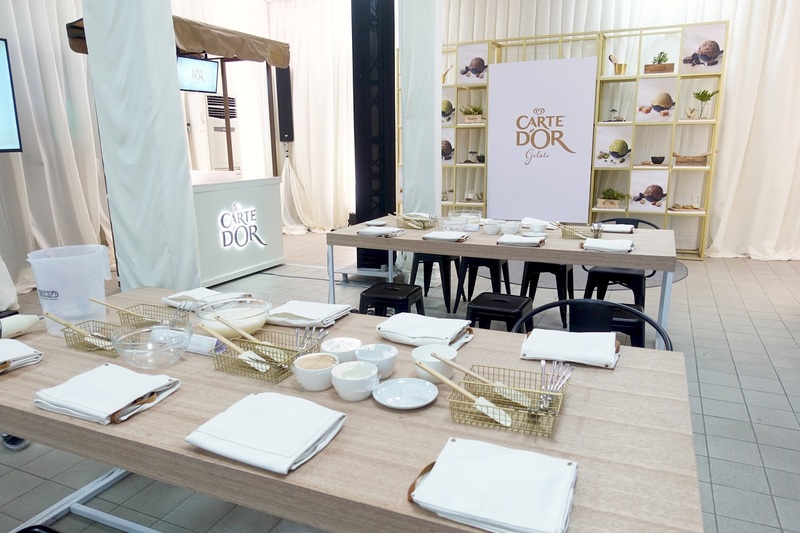 The conference also featured workshops, cooking demonstrations, and - brace yourselves - the best gourmet products in the market. 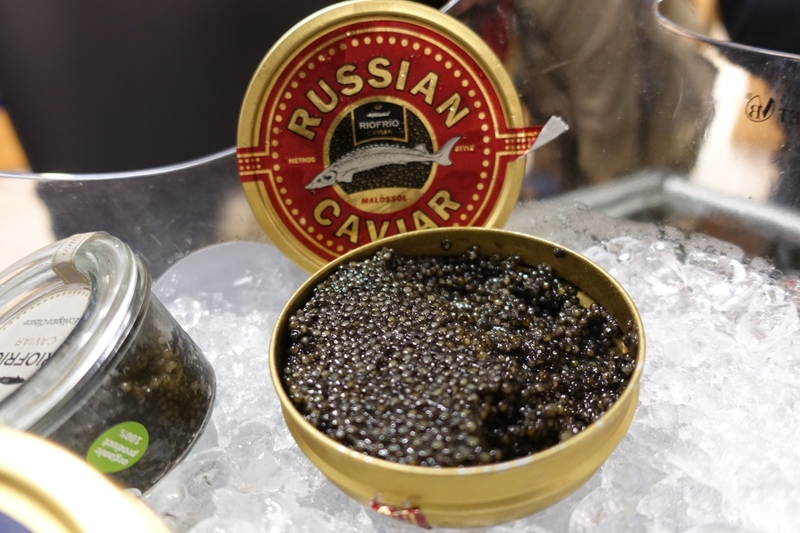 I know I had more than my fair share of jamon iberico de bellota, Russian caviar, fresh oysters, Alaskan king crab, cheeses, turron, Bruno Paillard bubbly, endless wine tastings at Enofusión, and pork fat ice cream laced with saffron. There was so much to see and learn and eat during the three activity-filled days. I ate, I learned, and now it is time I share a few highlights from the event. Diego Coquillat, CEO of online newspaper DiegoCoquillat.com, emphasized how the digitalization of the world will revolutionize gastronomy, that technology is a connector of restaurants and customers. “Today the diners discover restaurants on the internet and social networks, which means that the doors of the restaurants are no longer made of wood or glass, but digital doors," Coquillat expounded. 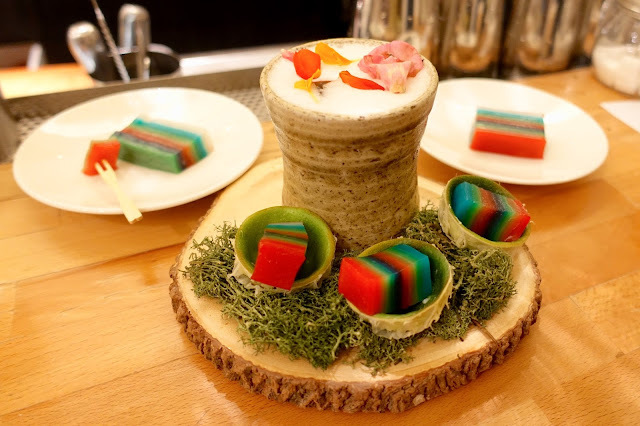 Restaurants must understand that the future is without limitations, it is not only the clients who go to the restaurants, but restaurants also go to the clients through digital tips and tantalizing food photos shared online. Technology allows food businesses to serve different neighborhoods, they are no longer limited by square meters, chairs or tables. Delivery boys are not just delivery boys but roaming waiters. Coquillat believes that the future leaders of the industry will not be catering companies, but technology companies that sell hospitality. 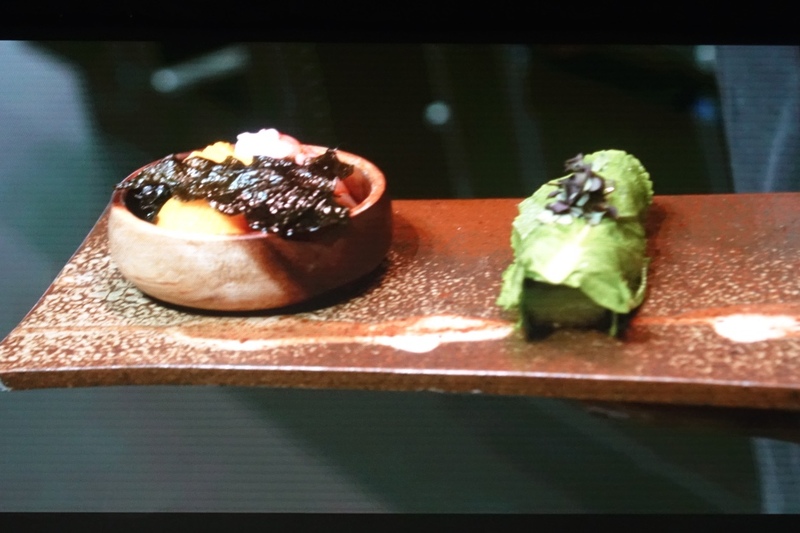 My proudest moment at the conference was when our very own Jordy Navarra of Toyo Eatery introduced our humble bagoong and buro to the audience. 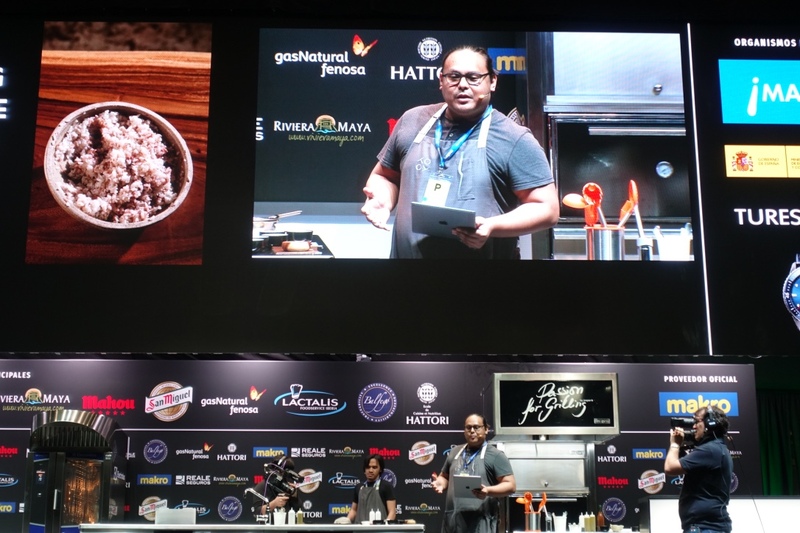 At his presentation "The Wild and Untamed Flavors of the Philippine Islands," Jordy explained the fermentation process, which happens naturally in the Philippines because of our climate. Buro is baby shrimp or fish fermented with cooked rice, and bagoong is salted shrimp fermented for weeks and cooked with garlic, tomato, and onions. He demonstrated the use of these two ingredients in a dish where he married the best of Spain and the best of our country. He used Palamos prawns, quickly splashed with coconut vinegar, tossed with green mango and bagoong, and topped the seafood-fruit medley with our sweet Philippine mangoes, a squeeze of prawn head oil, a bit of seaweed and fried sweet potato leaves. 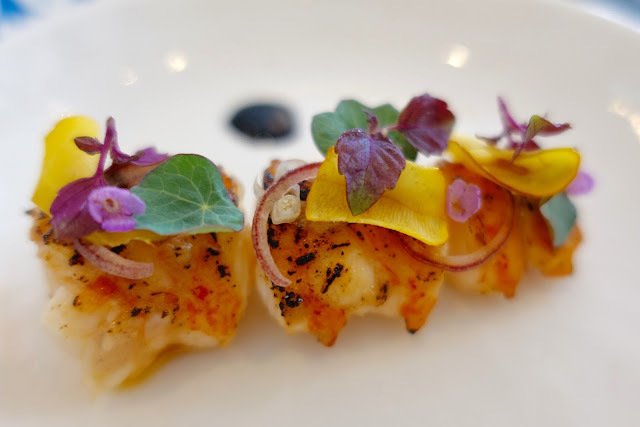 He served this alongside pork belly topped with buro, wrapped in mustasa and drizzled with charred eggplant oil – a dish that made my mouth water heavily. 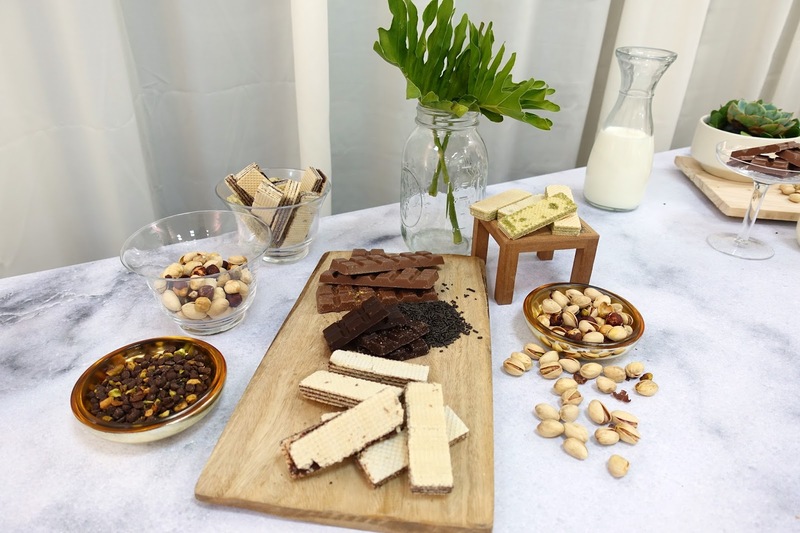 A few lucky people got to try Jordy’s signature truffles, made with dark chocolate, dulce de leche, and another well-loved fermented ingredient – patis or fish sauce. Joan Roca announced to the packed auditorium that they were going to cook a simple soup, because we all need to be reminded that sometimes, simple can be sublime. 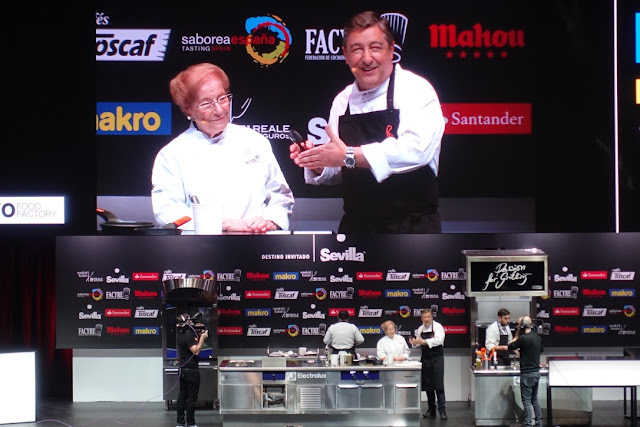 The Roca brothers’ dear mother Montserrat Fontané took the stage to do just that, she prepared a painstakingly simple but a most beloved mint soup, which she cooks only for family or for herself when she is ill. The lovely 81-year old Mama Roca feeds and nourishes her sons and their staff of 70 every day at her restaurant next door. “She is our mother, but also the mother of everyone who cooks with us in the kitchen,” Joan shared affectionately. Madrid Fusion inspires, provokes, encourages and awakens not only professional chefs but also the gourmand in each and every one of us. Chefs return to their kitchens armed with a wealth of valuable learnings, restauranteurs are probably scrambling to set up their social media accounts. I come home filled with desire to make dinner reservations at twenty restaurants across the globe. 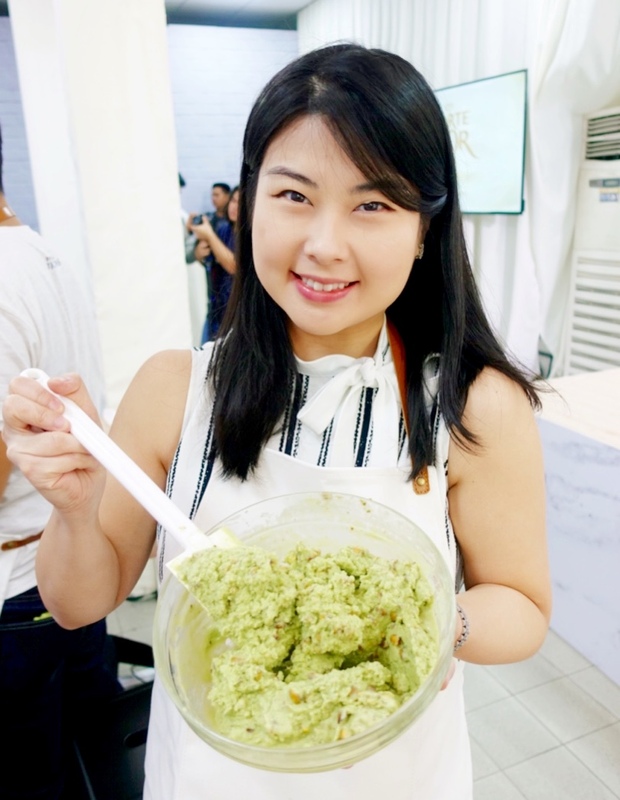 And as a soon-to-be wife, I am excited to take on the kitchen with new techniques I learned by watching some of the greatest chefs in the world. I plan to make that comforting mint soup for family, and I am currently creating a list of all the seasonal ingredients to stuff into my Jintucky Fried Chicken. 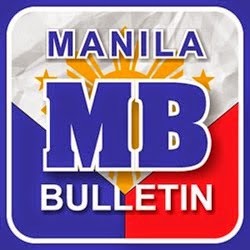 I am excited for Madrid Fusion Manila happening on April 19-21 at the SMX Convention Centre. 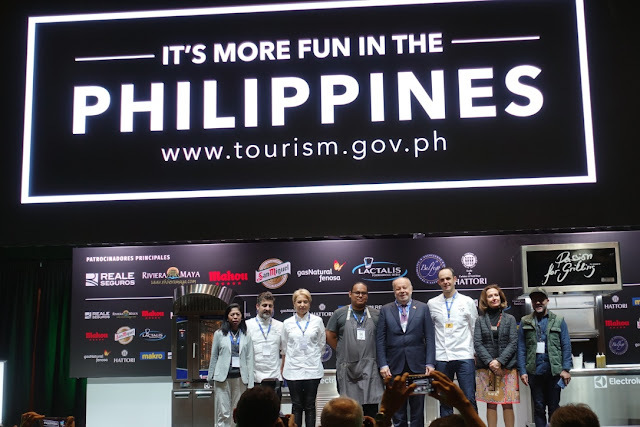 Pam Samaniego, Director of MFM 2018, said at the announcement of the much awaited event, "The old will be making a comeback as traditional cooking techniques and native ingredients will be in the spotlight for the fourth serving of Madrid Fusion Manila." 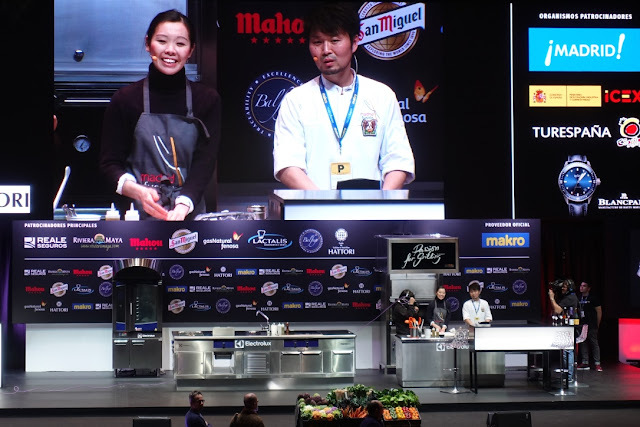 This year’s chef presenters will include Susi Diaz, Curtis Duffy, LG Han, Mingoo Kang, Hajime Yoneda, Matt Abergel, Paul Qui, Pepe Solla, Aitor Jeronimo Orive, Roberto Ruiz, Diego Gallegos, Gorka Txpartegi, Akrame Benallal, Maria Fernanda di Giacobbe, Tom Cunanan, Floriano Pellegrino and Isabella Poti, Inigo Lavado, and Javier Estevez. From the Philippines, we have Nicco Santos of Your Local and Hey Handsome, Patrick Go of Black Sheep, and JP Anglo of Sarsa. 1. STREAT. My absolute favorite Peranakan chef Malcolm Lee of Candlenut (best crab curry in the planet!) will be teaming up with the pioneer of modern Singaporean cuisine Willin Low of Wild Rocket in this exciting collaboration happening on July 14 and 15 at Clifford Square. The two champions of Singaporean cuisine will helm a pop-up restaurant featuring modern Singaporean and Peranakan food, alongside nine hawker stalls personally curated by the duo, each presenting a quintessential local dish with a fun twist. 2. Whitegrass. 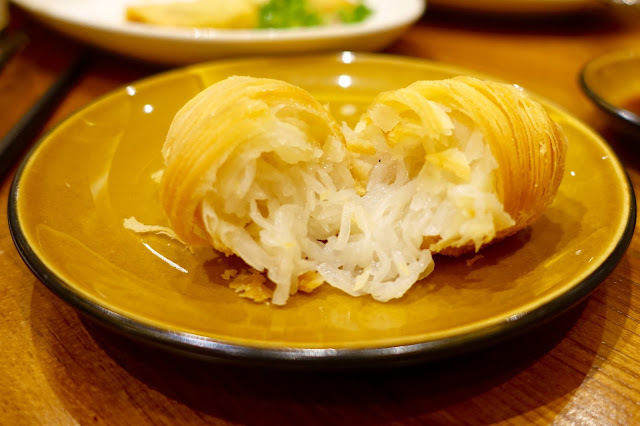 The Michelin Guide Singapore just launched its 2017 edition on June 29 and bestowed its coveted stars on 38 dining establishments. Among the newly minted restaurants is Chef Sam Aisbett’s 18-month old Whitegrass where he serves cross-cultural flavors unconfined by geographical limitations. I had the most amazing meal with Challans duck on eggplant cream and Chinese jelly mushrooms, Australian freshwater marron with burnt chestnut miso and a 20-year aged Kamebishi soy sauce that my server ever so carefully squeezed onto my plate. Too precious! For dessert, milk jelly, milk ice cream and milk curls from Hokkaido paired with fresh honeycomb from northern Thailand, followed by an intensely mouthwatering Taiwanese mandarin sorbet that jolted me awake from my delirious food-induced coma. Every course was divine and I strongly recommend you book a table at once. 3. Meta. 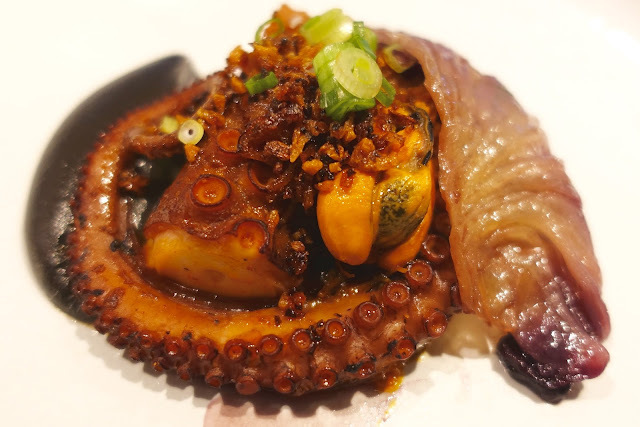 The most tender octopus - a result of slow cooking for hours and hours - topped with ridiculously tasty XO sauce, plump mussels, garlic crumbs, and a side of squid ink and sunchoke puree hidden under a radicchio leaf… this is just one of the culinary treasures you will find at Chef Sun Kim’s restaurant Meta. 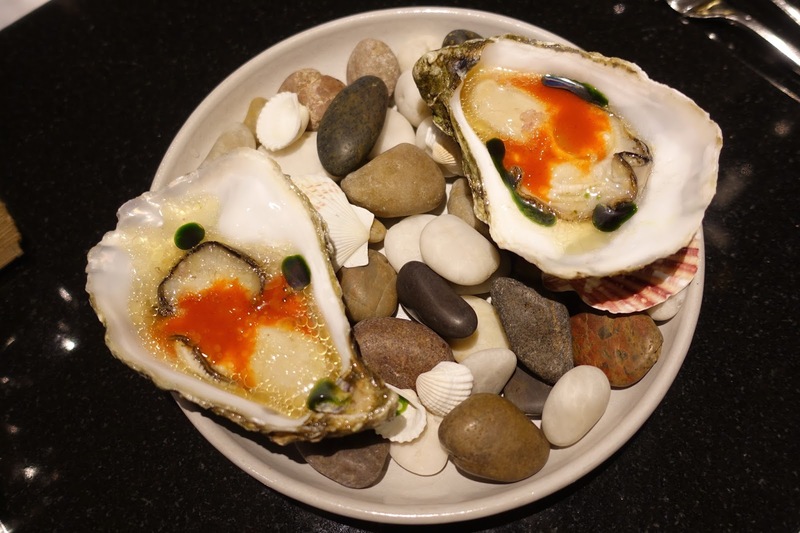 The Korean chef could not help but add bits and pieces of his Asian roots into his dishes – gochujang on fresh Irish oysters, yuzu and shiso on raw fish, crab bibimbap – and I could not help but admire every unique bit of it. 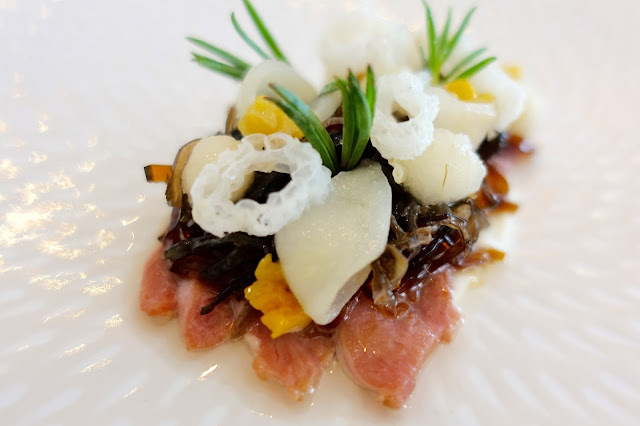 Meta received its first Michelin star this year. My first mouthful of his beetroot and burrata dusted with tobiko, I already knew in my heart that it deserves the accolade. 4. Manhattan Bar. Be transported to 19th century New York once you step into this bar, with its seductively dim lights, oak barrels, lots of dark leather, and shelves of jars containing spices and fruits for drying and pickling. All five signature cocktails I tried were masterfully crafted, but if you must to choose one drink only, let it be the Aviation (Citadelle gin, Luxardo maraschino liqueur, fresh lemon juice) which comes with a vial of Tempus Fugit crème de violette that you stir into your drink and watch the special concoction turn into a pretty purple hue. Manhattan is voted number one at Asia’s 50 Best Bars 2017 and our sweet Filipina server presented us with apple cheesecake poppers to celebrate the win. 5. Yayoi Kusama: Life is the Heart of a Rainbow Exhibit. Pumpkins, pumpkins, pumpkins! 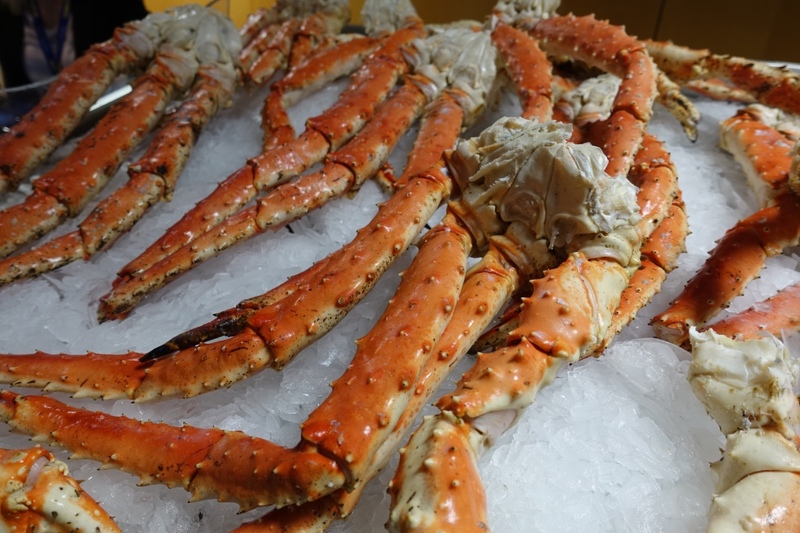 They are not only for eating, but also for indulging your visual appetites. 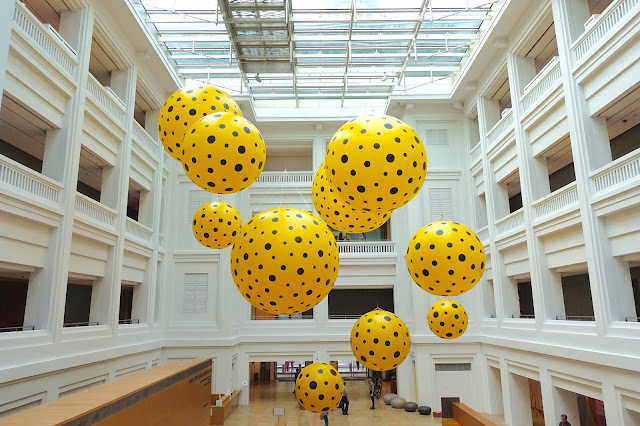 This exhibition features 120 fascinating works of the Japanese artist and runs until September 3. Be ready to be blown away by the spell-binding experience which will make you smile, make you laugh, make you sad, make you cry. 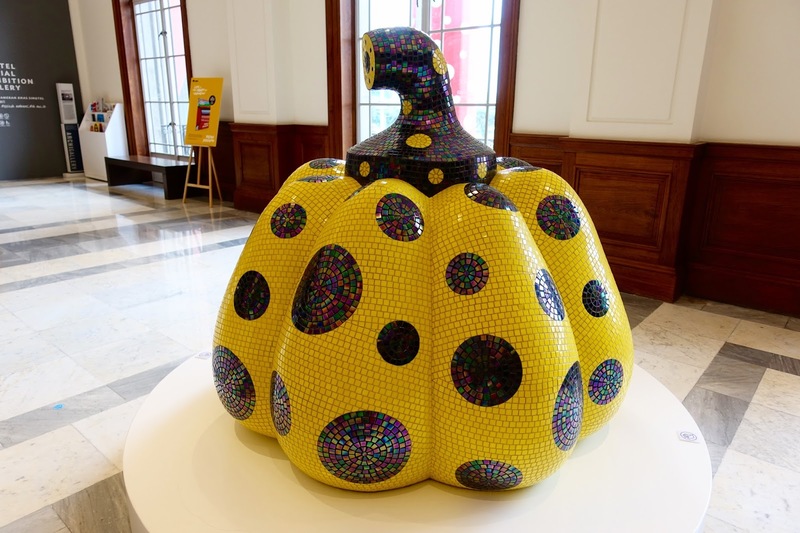 After the feast for the eyes, head down to Gallery & Co. for the most adorable pumpkin, and completely edible this time! 6. Shangri-La Hotel Tower Wing. What a treat to be enveloped in lushness every time I walked into the lobby of my home in Singapore. Look to your left and be amazed by the nine-meter high mystical rock wall, look to your right and be amused by the massive, refreshing balls of green in place of the usual, oftentimes boring flower arrangements, look up and be mesmerized by the two thousand pieces of cascading leaves by Japanese designer Hirotoshi Sawada to create a tree canopy in this enchanting oasis. The newly renovated Tower Wing at Shangri-La Singapore takes my breath away each and every time. 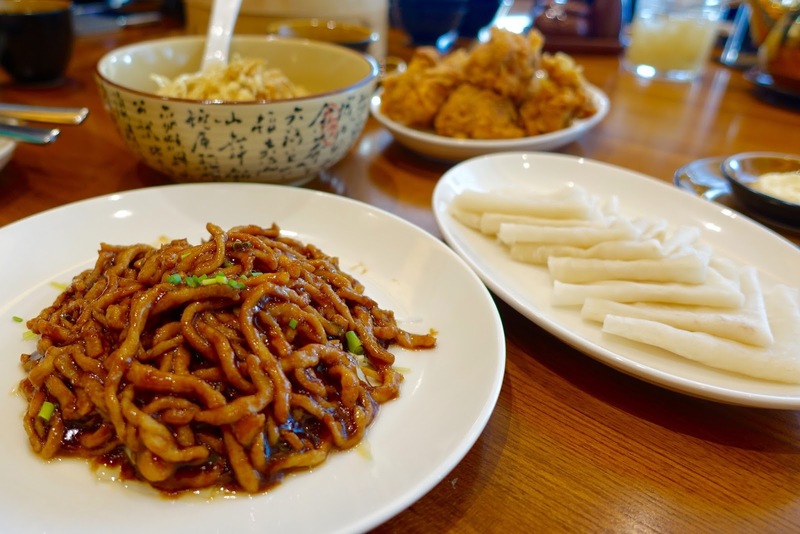 One of the best things about my stay, aside from the heavenly bed, was being able to enjoy a multitude of Singaporean heritage dishes without leaving the comfort of the hotel. One lazy day I had chili crab and mantou, Hainanese chicken rice, and an incredible katong laksa all by myself, washed down with a comforting mug of teh tarik followed by a sweet, chocolatey glass of Milo dinosaur. 7. 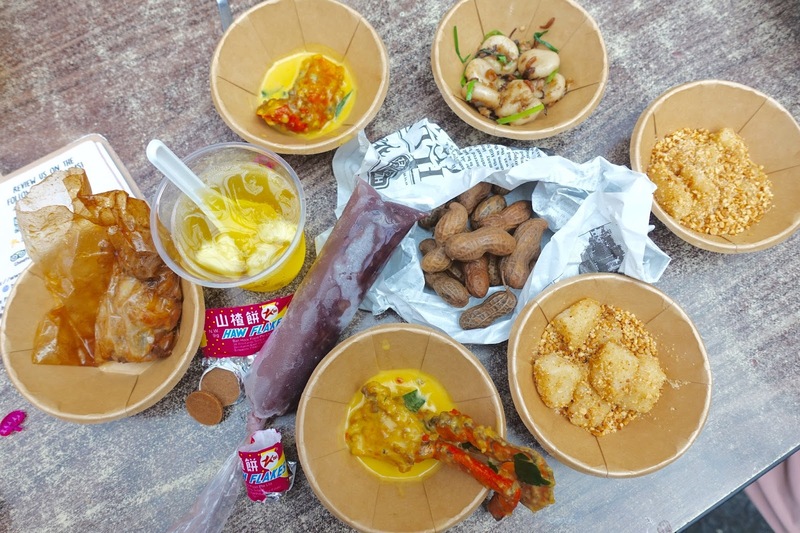 Singapore Food Festival is happening between July 14 to 30 and there will be a roster of activities to celebrate the richness and diversity of local Singaporean flavors. Imagine a hawker wine safari where Bib Gourmand hawker eats are paired with artisanal wines from Australia and New Zealand, a kueh pairing workshop where you enjoy the sweet little treats with coffee, tea, and cocktails, and a 50 Cent Festival featuring nostalgic dishes like abacus seeds, paper wrapped chicken, beehoon, and iced candy at 1980 prices – 50 Singapore cents! 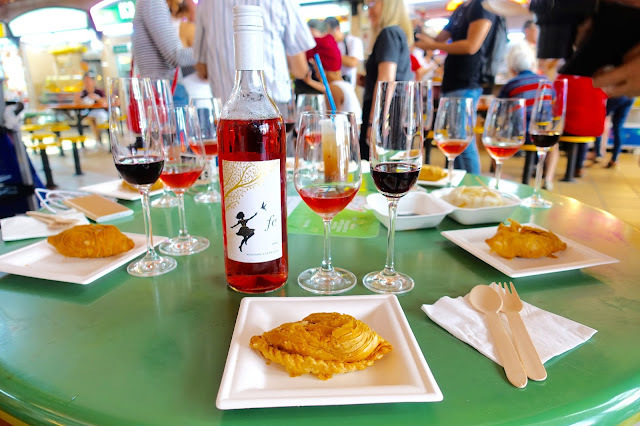 So fly your empty stomachs to Singapore this July, speak your best Singlish, and immerse yourselves in Singaporean culture by eating, eating, and never-ending eating! When I was in London for three weeks last summer, my neighbour (aka the supermarket - more specifically the frozen goods section) was my best friend. 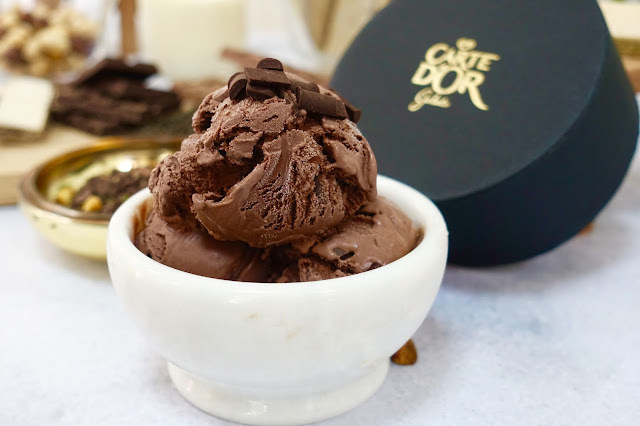 I would buy Carte d'Or gelato on my way out and oftentimes on my way home, too - it was strategically located between the underground station and the apartment I was staying at. My favorite flavours were triple chocolate parfait and crema di mascarpone. 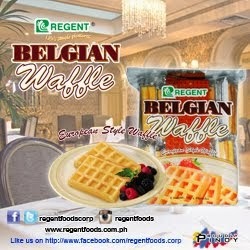 So imagine my delight when I found out that UK's #1 gelato brand is finally coming to Manila, and just in time for the summer months, too! To get to know Carte d'Or more, I attended a fun and interactive gelato-making class where I learned the step-by-step on gelato-making process and the ingredients that go into every scoop of the frozen treat. 1. 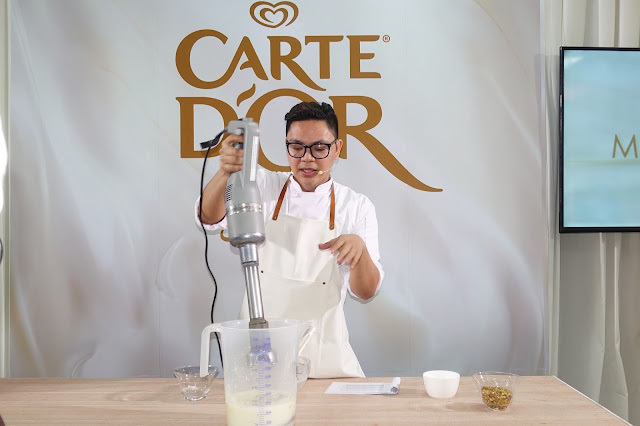 Carte d'Or uses only premium ingredients sourced from the places where they make them best, so we can enjoy natural flavours free from additives. “We take pride in sourcing from only the best, no matter where it takes us - from Australian butter to pistachios harvested from South Australia and California, from Belgian chocolate to hazelnuts grown in Turkey,” boasts Earl Keh, Carte D’Or brand manager. 2. 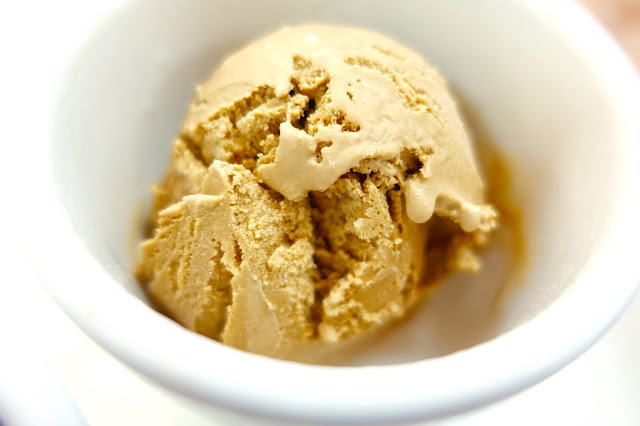 Gelato-making is an easy and uncomplicated process. 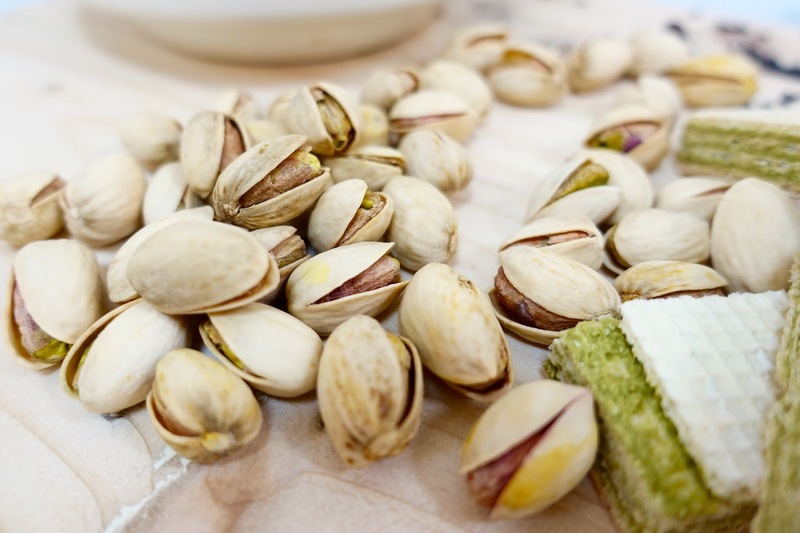 As long as you have the best ingredients, you are already halfway there! premium ingredients and mix thoroughly. 3. 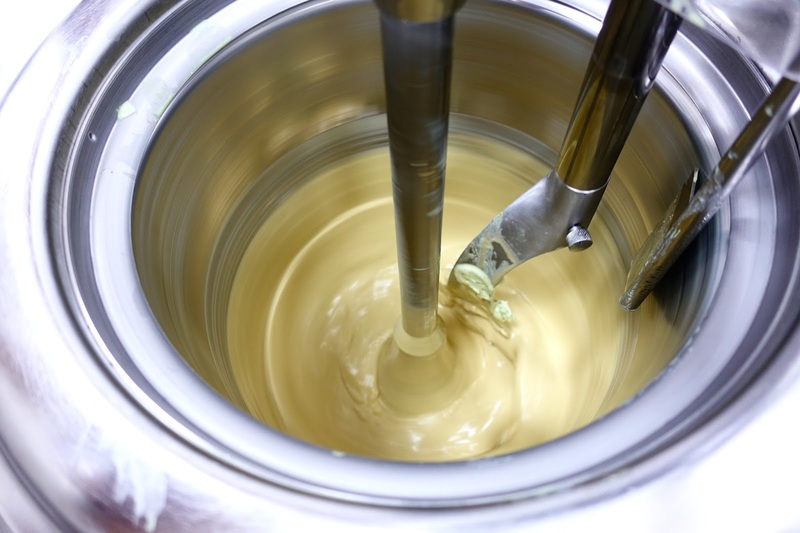 It is simple, but you will need a very expensive gelato machine like this. 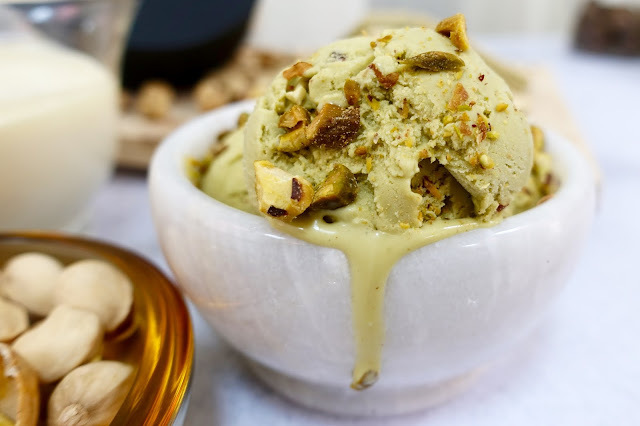 It churns gelato slowly but surely, and the result is a smooth, rich and creamy frozen dessert. Now it's time to enjoy the smooth, creamy, nutty fruit of my labour. 4. To save yourself time and trouble (and all that Maserati money) making your own gelato, just buy a tub or four from a supermarket near you. 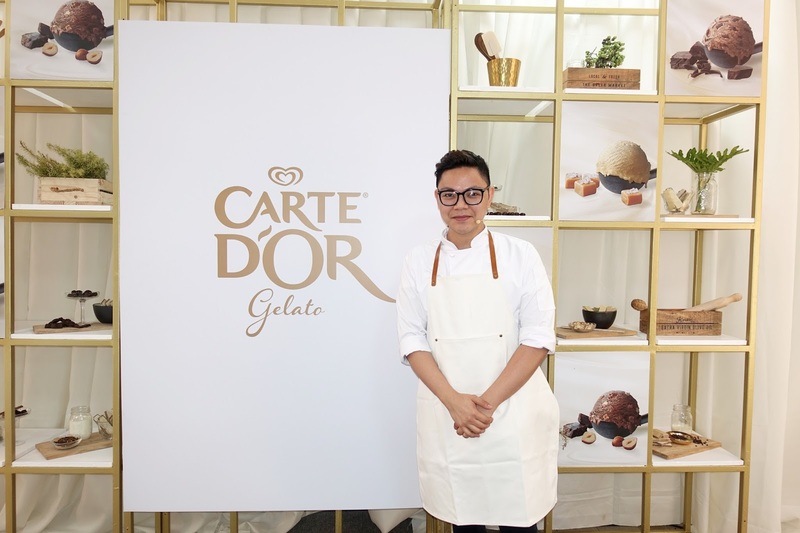 Carte d'Or Gelato is available in select supermarkets and convenience stores nationwide. I chose to spend the last few days of 2016 in a place I had always wanted to go back to, a place that promises peace and quiet, a lot of nature, smiling people, healers, raw food, vegan restaurants, a place where I could slow down, reflect, and most importantly, detox my mind, body and spirit, a place which means “medicine” in its native language - Ubud. Despite being in the mecca for health, the one and only clean meal I had was at Paradiso, a really cool cinema that shows old films and serves strictly plant-based food. So you see, there was no choice but to eat falafels (which were delicious, by the way) and a plate of vegan nasi goreng while I watched Matthew McConaughey and Ken Watanabe try to make their way out of a Japanese suicidal forest alive. It was a movie that called for steak. The rest of my meals were heavy on meat. Too bad for my body, but lucky for you, you now have a good eat list for your next Bali trip. My search for the best beef rendang in town led me to this quirky restaurant where everything on display is for sale. The rendang served here is made using Bernadette’s family recipe and involves cooking the meat in coconut milk and secret spices for twelve hours – eight on the first day, and another four on the second. No wonder the beef was ridiculously tasty. Warning: You are likely to consume more than one bowl of rice. 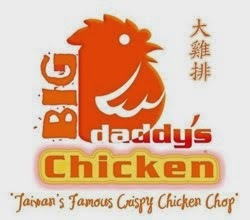 The biggest dilemma here is whether one should order the Balinese crispy duck or the fried smoked chicken. I suggest both because aside from the fact that they are equally delicious, I must admit, portions are tiny. Do not forget to mix and match the different sambals, and wash everything down with avocado iced coffee. After overeating, walk off the meal around the beautiful property surrounded by lotus ponds and rice paddies. 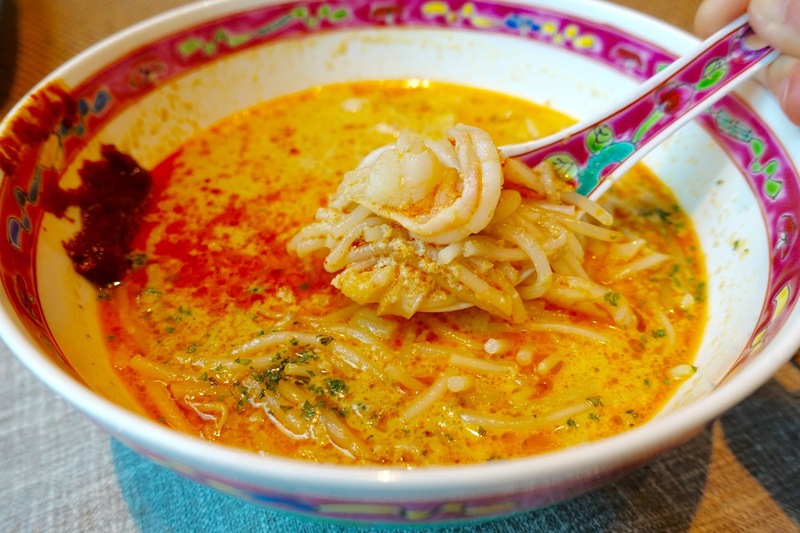 The coconut curry noodles here is one dish I often fantasize about ever since my first taste of it in 2013. You can opt to have your bowl plain or with tofu or meat. Of course, I had mine with beef. Rich and hearty with a broth boasting so many layers of flavors and a depth that can only be achieved after hours and hours of simmering, it was the simplest meal of the trip but one that brought me the highest satisfaction, even topping the chichi, award-winning Mosaic. The place is always packed so call ahead to reserve. It is difficult not to compare babi guling to our Filipino lechon (which is still, hands down, the best pig for me), but when in Bali, do as the Balinese do – eat Balinese pork. The suckling pig at this overly popular warung is stuffed with a paste made with shallots, ginger, galangal, garlic, turmeric, chili, peppercorn, and shrimp paste, and then roasted over open fire for six hours. The result is mildly fragrant pork with not so crunchy skin. Admittedly, it is not something I am ecstatic to eat again, but definitely a dish you must try once when in Bali. From the makers of Mamasan and Sarong comes the newest addition to Ubud, serving Indonesian flavors with finesse and always with a surprise factor. My kambing curry (the spicier the better!) came with roti canai that was chewy and crispy at the same time, the tuna tartare was served with a medley of watermelon, Thai basil, sesame seeds and chili shallot lime dressing. It is the place to go for local flavors when you need a break from the warungs. I discovered this place through an Instagram follower who tipped me about Chef Joshira’s crazy dishes. I went without any expectations, and honestly, the funky interiors left me doubtful. But WOW, my cinnamon and cumin-rubbed lamb appetizer was out of this world! The grilled meat sat on a bed of toasted cashew and feta salad tossed in lamb tamarind jus, its flavors complex, bold, exciting. The prawn tacos were fresh and delightful, the chocolate mousse rich and decadent and made even more fabulous with candied orange peel. Secret to finding this hidden gem: look for the blue octopus on the wall. La RaMona: 9 Jalan Dewi Sita, Ubud. My first time at Paradise Dynasty was in Singapore six years ago. I saw the posters everywhere, along the walkway to the MRT station and all over ION Orchard, the most happening shopping mall during those days. Photos of bamboo steamer filled with dumplings the colors of the rainbow haunted me. Oh how I love rainbows. And chasing/eating them. I made plans to have lunch there with a friend almost immediately. We ate our way through the colorful babies, which also doubled as educational materials for her learning toddler. 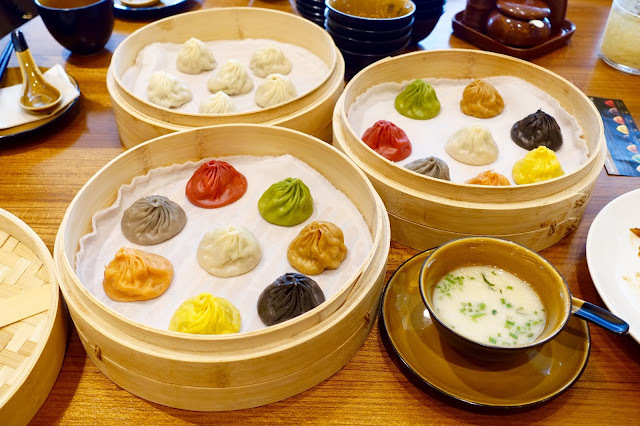 “What color is this dumpling mama is eating?” “Green!” “How about the one Auntie Jin is eating?” “Yellow!” “Orange!” “Red!” He had almost as much fun as we did, even if all he ate was blended chicken and vegetables. It was not surprising to see the same reception when Paradise Dynasty opened in S Maison. Curious people queued up for the fun experience and there was always a basket or two of rainbow xiao long bao on every table. During one of my visits I was able to chat with Paradise Group CEO Eldwin Chua who was in town to oversee the opening of his first Manila branch. “We are very excited to be in the Philippines. 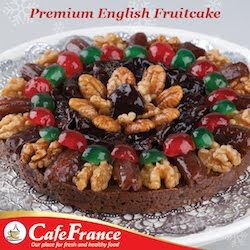 We have been wanting to bring our brand here for many years, we were just waiting for the right partner and the right location,” shared the young Singaporean businessman. 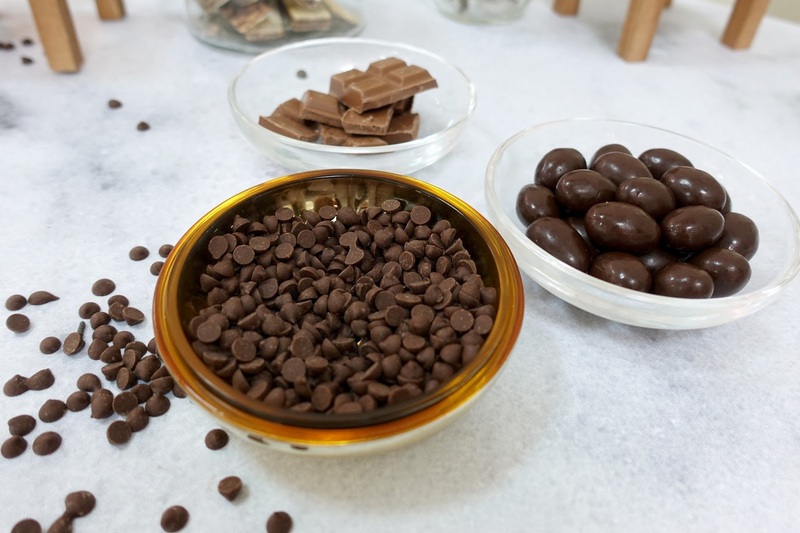 In the span of 13 years, the Paradise Group has expanded into over 30 restaurants in Singapore and 20 outlets in Malaysia, Thailand, Indonesia, Japan, China, Hong Kong, and London, with every branch exuding opulence and luxury. When you go, make sure to check out the VIP room with its monstrous dragon sculpture hanging on the wall. 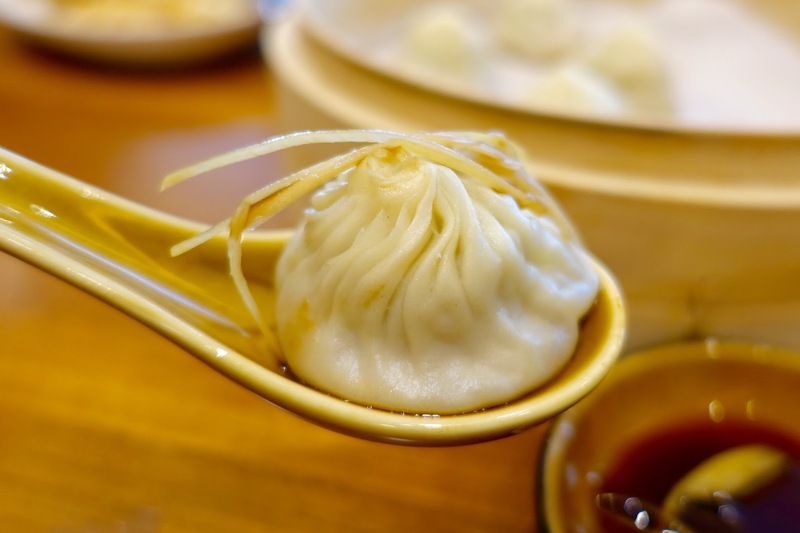 It’s like stepping into the lavishness and drama of 1930’s Shanghai, with you feeling like some emperor, ordering and eating up a feast, and then feeling absolutely pleased with yourself when the bill arrives and you realize you are paying ordinary working men prices. 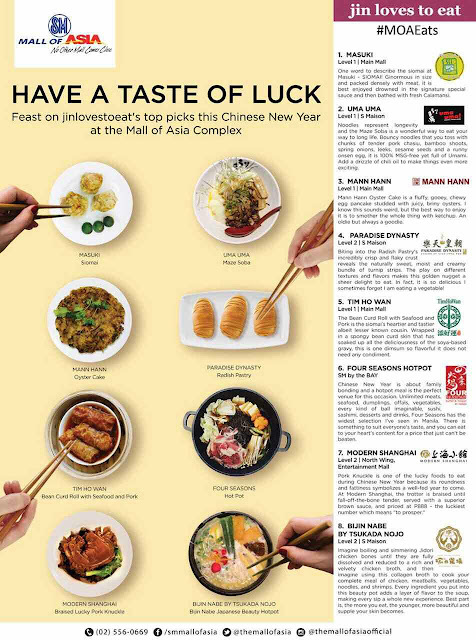 So what are the five dishes you must try at Paradise Dynasty? 1. 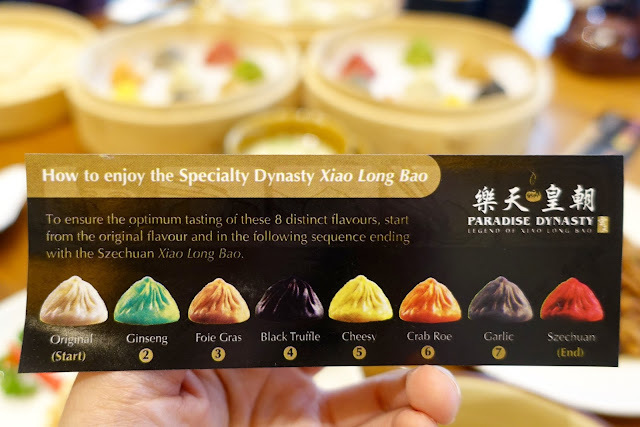 The most popular 8-color Dynasty Xiao Long Bao, of course. technicolor pouches. No, you cannot just eat them according to your favorite colors. 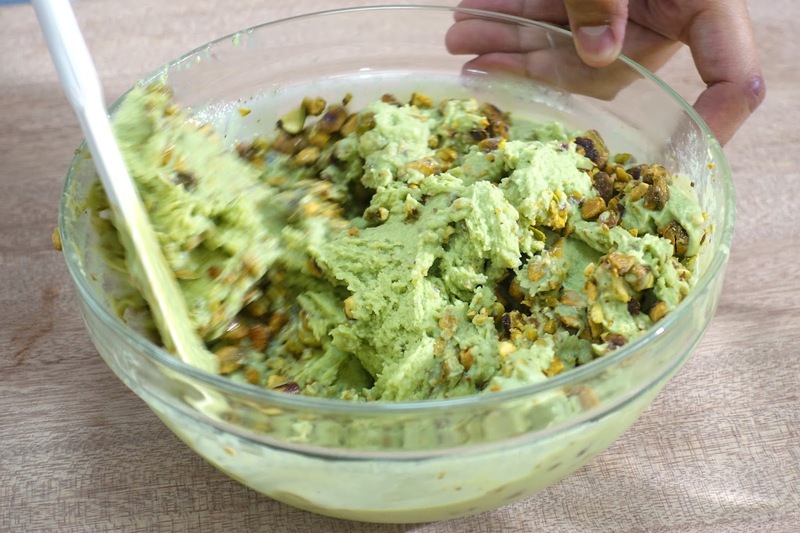 and prefer uncomplicated flavors, which brings me to the second dish. To be enjoyed simply with vinegar and ginger because the classic way is the best way. Period. 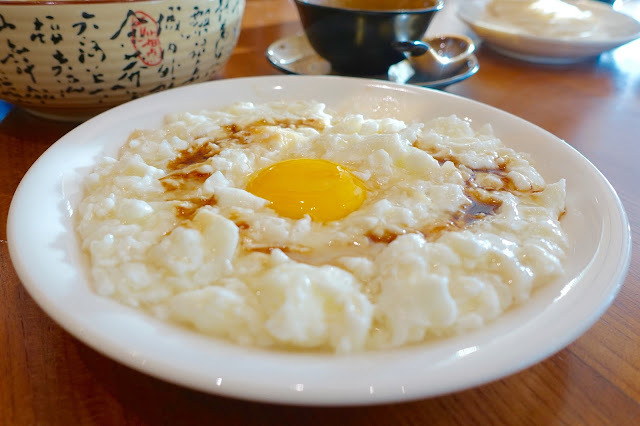 the egg yolk so sit back and let your server do the honors. sauce until tender, to be paired with scallions and wrapped in thin, soft and chewy pancakes. incredibly fine and flaky crust that is almost too gorgeous to eat. Do eat it anyway. beauty and leave perfectly merry and content.